Macroeconomic factors mainly drive the forex market. Such factors affect a trader’s decision. They also have something to do with determining the value of a currency at any time. The worldwide capital markets are probably the most obvious indicators of an economy’s status. The bond and stock markets are also the most ‘popular’ markets in the world. You might find it difficult to miss the release of public information within capital markets. There’s a firm flow of media coverage. Every second, there’s new information about corporations, institutions, and government entities. Sometimes, sectors drive economies. Here’s an example: Canada. Canada’s economy has a tight connected with the commodities market. 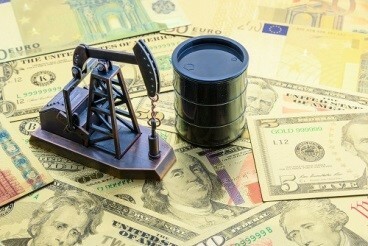 As a result, Canadian dollar heavily ties up to the movements of crude oil and metals. That means a rally in oil prices would probably lead to the appreciation of the loonie relative to other currencies. Commodity traders, just like forex traders, depend mainly on economic data. In many cases, this economic data will have direct effects on both markets. You also have to learn about the balance of trade levels and trends between countries. The trade levels between nations function as a proxy for the relative demand of goods from a nation. A country with goods or services that are in high demand internationally will usually see an appreciation of its currency. Countries with a large deficit are net buyers/importers of international goods. The country will need to sell more of its currency to buy foreign currencies. And then they will use the foreign currency to buy international goods. The political climate of a nation plays a crucial role in the economic outlook for that country. The result is that it also has some impacts on the value of the currency. Forex traders constantly monitor political news and events to know what the government will do. These may include government spending to tightening restrictions on a particular sector or industry. An upcoming election is always a huge event for forex markets. Exchange rates will often react favorably to responsible parties and those that pursue economic growth. Traders also watch the central banks’ decision on interest rates for future outlooks. A forex trader can’t do without economic reports. That’s why they maintain an economic report calendar, which is very crucial to stay up-to-date. The GDP may be the most obvious report. That’s because it’s the baseline of a country’s economic performance and strength. It measures the total output of goods and services within the economy. You have to bear in mind, though, that GDP is a lagging indicator. This means that it reports on events and trend that have already taken place. Inflation is also very important. It sends us clues of increasing price levels and falling reduced buying power. On the other hand, inflation can cut both ways. Many consider it to be putting downward pressure on a currency. That’s because of the weaker buying power. Meanwhile, it can also result to currency appreciation. That’s because it may compel bankers to increase rates to curb rising inflation levels.